Only just noticed that the first thread has now made Off-Topic Gold (and rightfully so) so thought I'd get another up and running. Picked up Batman:Arkham Asylum last week for the Ps3. Only just started today and I'm loving it thus far. Edited April 16, 2016 by TildeGuy~! Surely you should put "version 2.0" in the title. Batman: Arkham Asylum is a great game. I can't wait for Arkham City or whatever the sequel's called. I'm currently playing EA Sports MMA and enjoying it. I restarted GTA 4 since the first time around I got addicted to multiplayer before I finished the story, then my console red-ringed and ate my saves. I've just this evening done the heist, which was the point at which the 360 died last time. After that, I plan on restarting and finishing The Lost and Damned and The Ballad of Gay Tony, both of which didn't get finished because of the multiplayer thing. Any time a game has decent multiplayer, I have trouble going back to the main game. Just Cause 2 but it seems to be going on forever. I have The Saboteur waiting after that. Working my way through Mass Effect again, coupled with TF2 all my available gaming time is taken up. I've been addicted to UFC Undisputed 2009 on PS3 since I got it a few months ago... but can I include iPhone games in here as well? There's the ridiculously addictive Angry Birds and the PS3 quality sword fighting game, Infinity Blade. Just immense stuff for such a small device. Final Fantasy IX, played portably on the PSP. I actually quite like the card game on this, that everyone else seems to hate. The game is still vastly overrated, and not a patch on VII, but I'm still enjoying it. Also, Football Manager 2011 on iPhone. FM on the go, heck yeah! Football Manager 2011 on PC and Fight Night Round 4 on PS3. On my second playthrough of God Of War 2 (PS3 remaster) with the super cheap urn bonuses equipped, will then properly go through Black Ops' campaign more or start Assassin's Creed: Brotherhood. PES 2011. I don't get the criticism of this game. The default camera angle is great and the gameplay is Konami's best offering in the series for 4/5 years. Utterly dreadful. 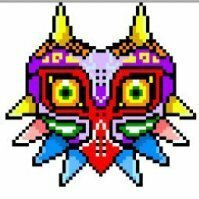 If there ever was a game whats reviews and legacy were completely powered by buzz and fanboyism, Majora's Mask would be that game. It's awkward, complicated, and some of the glitches break the game. I've only done the first dungeon so far, but some of the things that have annoyed me include the edges of lily pads not being solid meaning you can fall through them and land in the water, and if you happen to be stood near an enemy when the day passes into night, the enemy re-spawns back on top of you. Not a problem on it's own, but the enemy in question was on a small platform on a stealth section meaning I got knocked back down a floor and had to re-start the entire section. I can see myself trying to stick it out, because I paid for it. Repeatedly playing the exact same 3 days over and over on a loop though is just not fun at all. I'm also trying to go through some old games that I just didn't get round to at the time, Condemned 2 at the moment. PSP: extra ops of Metal Gear Solid Peace Walker! Havent touch Red Deads Multiplayer yet! Does anyone still play? I don't really understand it so if anyone could explain it to me that would be great!